Amy Estes started doing comedy around the kitchen table with her very funny family, but didn't take to the stage doing comedy until 2017. 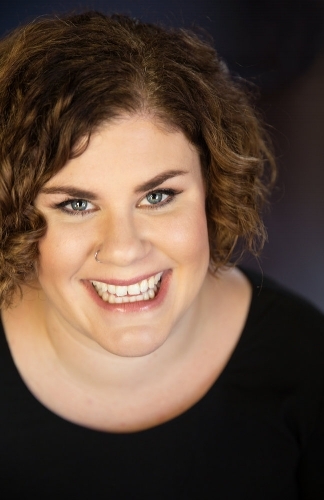 Based in Northern California, Amy has performed at clubs like Sacramento's Laugh's Unlimited, the Punch Line San Francisco and Sacramento, and the World Famous Comedy Store, as well as many clubs and events all over Northern California and the 2018 Women In Comedy Festival in Boston, MA, as well as the Portland Queer Comedy Festival, and SF Sketchfest 2019. She has opened for incredible comedians such as Julie Goldman, Rhea Butcher, James Adomian, and Gina Yashere. Amy's takes on life reference her experiences as a middle school teacher, a member of the LGBTQI+ community, and being a 30-something woman. Her comedy has been described as "uniquely hateful, yet somehow optimistic" and her view of the world coupled with her quick wit and sarcasm make her relatable and vulnerable comedy fun to watch.